Last Monday my friend chh invited me and rojak to her house for a cheesecake-making session. It was our novice attempt but the results turned out well. No credits to me as I was distracted by our chatting, gossiping, and chh's lovable dogs, in turn I exasperated my girlfriends with my lousy zesting technique and equally hesitant egg-separating methods. Real bakers simply break the egg into the bowl and scoop the yolk up in one confident motion, they don't have time to fiddle with egg shell halves and the back-and-forth pouring thing I like to do. I did a better job reading the instructions on the recipes, though we nearly forgot the lime juice. We used up a gigantic brick of cream cheese! And we ate up her watermelon which was looking too inviting in the fridge, indeed it was very sweet and juicy. Here's a cool tool. 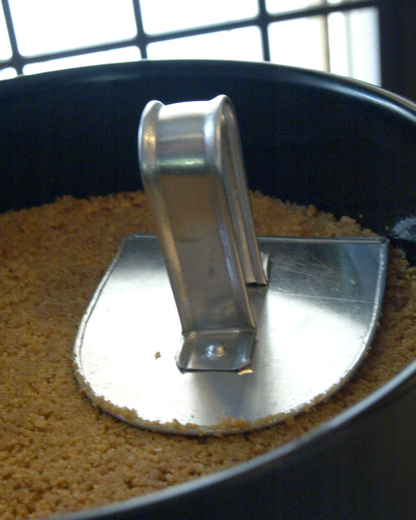 It looks like a cement layerer but is more commonly used in making the layers in kueh lapis. This time we used it to pat the biscuit base evenly. 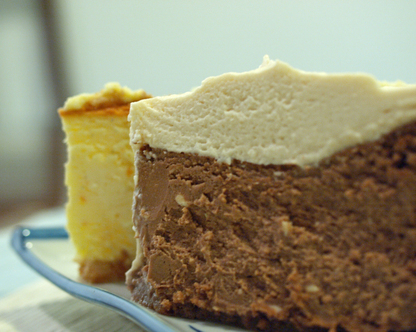 The final products were a New York cheesecake and a chocolate espresso cheesecake, in addition there was also a chilled version of lime and coconut. All three cakes needed to rest and chill for about two days, when they were ready chh very kindly delivered them to my home. It was a lot of cake, fortunately they freeze well. The husbands liked the chocolate cheesecakes whilst I preferred the lime and coconut version because citrus and coconuts are my favourite dessert ingredients. 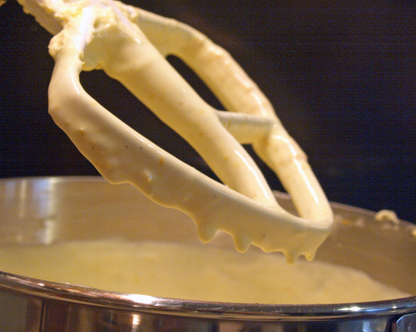 chh also made lemon curd, its tart creaminess accompanied the New York cheesecake perfectly. I still have the lime and coconut cake in my freezer, every now and then I scoop out a bit and eat it like ice cream, replaying lazily in my mind the events of the afternoon- the laughter and teasings, putting up with the heat and curious dogs, various other minor catastrophes, the triumph (and relief) of pulling out the evenly baked cake with no crack lines on the top. The cheesecakes tasted great, the making of them was just as enjoyable and fun. Unlike many Singaporeans, I am not an enthusiastic fan of orh-jian, having eaten one too many greasy and gummy versions of this oyster omelet dish. But last weekend I had the pleasure of eating a crispy version at Beng Hiang Restaurant in Amoy Street and loved their twist on this traditional favourite. 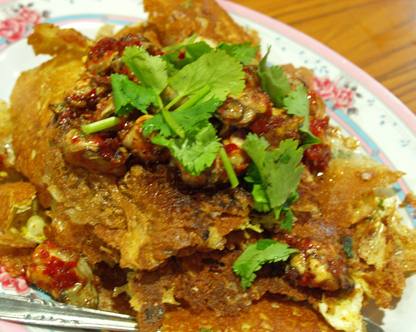 At this old-school Teochew Hokkien restaurant the pancake comes with crispy shards of thin eggy batter which was really tasty on its own-salty and savory with a bit of zip added from the chilli sauce. The oysters, fresh though they were, seemed almost superfluous. What else was good at Beng Hiang? Crispy chicken was quite a hit, the chicken well marinated and juicy but the skin was inexplicably soft. Ngoh Hiang came in two versions- shaped into balls and deepfried, and rolled in tofu skin and then deepfried- but the minced meat filling was dull in taste, dull in appearance. Kong ba bao was unacceptably dry and tough, and orh nee was overly sweet and smothered in creamed corn which didn't do it any favours. Best to just go for the orh-jian. And then we were dying to leave the place but had to wait for the cue from the seniors' table. Finally my uncle got up to stretch his legs, and chairs were scraped and hasty farewells said. Apparently the aunts and uncles thought our table was having too much fun and couldn't bear to stop our catching-up and gossips! is not Chia's Vegetable Supply. We were talking about this at lunch and I felt I should pass this tip on. Seems to me like the Chias have been doing so well they've colonised almost the entire vegetables section of Tekka Market. Even though they never say so, I know, because I recognise their foreign worker assistants in these other stalls. Nothing wrong with any of this, I love the bossa nova music and their warm friendly service as much as the next shopper and they deserve their hard-won success but still, this doesn't leave me much choice in terms of prices or variety. Thus was my plaintive complaints to my good friend tiantianchi, who promptly suggested I should check out the competition in Sheng Siong Supermarket across the road. I am familiar with Sheng Siong because I like that their product range is wide and some items may be even cheaper than FairPrice, the so-called champion of the common people, but I was not aware that they have improved their fresh produce offerings. Curiosity piqued, it so happened last weekend that my pantry ran out of supplies which gave me a good reason to go and have a look. The Sheng Siong supermarket in Tekka Mall actually occupies two different parts of the shopping complex. Dry goods are on the second storey above the food court, but for fresh vegetables, meat and fish one just needs to cross Serangoon Road to reach the front entrance and take the escalators down. This is important because the two areas are quite far apart and if you went the wrong way you would get quite frustrated like I did and have to call up your friend to scold check directions again. Once you find the place, grab a trolley and walk all the way in. The vegetables occupy almost a third of the basement. A respectably diverse selection is laid out neatly, but not very prettily, for shoppers' perusal. Purple sweet potatoes from Indonesia, crunchy sweet yau mak choy from Malaysia, fat spears of asparagus, tender bunches of deep green spinach for baby's meals, deep troughs of pickles as well as the usual suspects like chye sim, brocolli etc. Prices are gratifyingly reasonable, even the 'exotic' stuff. V, our domestic, was suitably impressed and she should know, having previously commented that vegetables at my nearest local Whampoa wet market is too pricey and old, and given her familiarity with the stalls in Tekka. Here the floor was dry, and there was airconditioning. It was like shopping at a smaller, more comfortable version of a wholesale vegetable market. The only glitch was that we parked in Tekka Market carpark,which meant we couldn't carry a lot or, as is our usual practice if we shop in the wet market, leave it in the care of the fruiterer who usually lets us do so as long as I buy some of her (also slightly overpriced) fruits. And as I still had to get my fruits, mutton, eggs and seafood from Tekka Market, we restricted ourselves to getting only lighter vegetables, leaving the root vegetable business to the wet market. Therefore if you are ever in the neighbourhood, do pop by into Sheng Siong and be surprised. 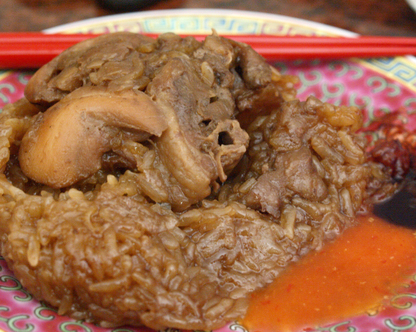 When people find out where we live, they will usually say, "Oh, Balestier Road, that area is full of good eats, especially Bah Kut Teh, isn't it? " Well, not really, I would be hard pressed to find more than 2-3 good things to eat along this busy area. The only stall that would tempt me is Benny's pohpiah stall at the corner coffeeshop near Soo Kee; we don't actually know the name of his stall, but we have his mobile phone number and he knows how to customise the pohpiah to our liking. Occasionally we might brunch on the elderly lady's yong tau foo at the corner coffeeshop across the lane from Boon Tong Kee. 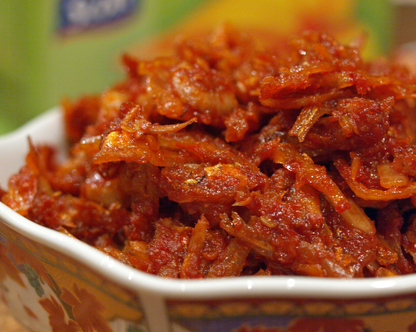 We still mourn the closure of Nonya Bong and its reliably decent Nonya dishes. That's about the sum of all the good eats as far as I am concerned. 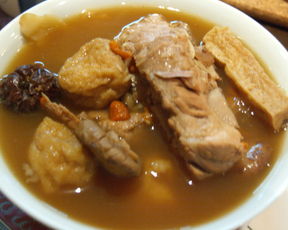 As for bah kut teh, it is true that there are many stalls selling this popular pork rib soup in my neighbourhood. If pressed, we might go to Founder's because the meats are fresh. 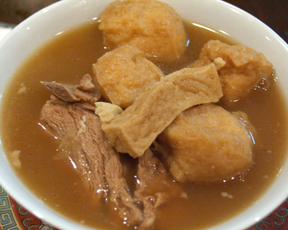 But what the taste buds hanker for in bah kut teh is not the peppery and garlicky version that is popular all over this country. The Malaysian version I grew up eating is different. 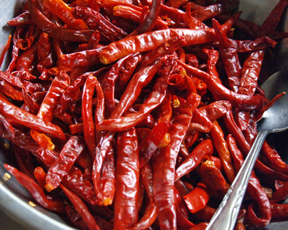 Just like most Malaysians who would never understand how ketchup has a place in wonton noodles, to us bah kut teh is not bah kut teh if it isn't a rich complex brew heady with the scents and distinctive flavours of Chinese herbs and spices like dong guai, tongshen, wolfberries and five spice powder. 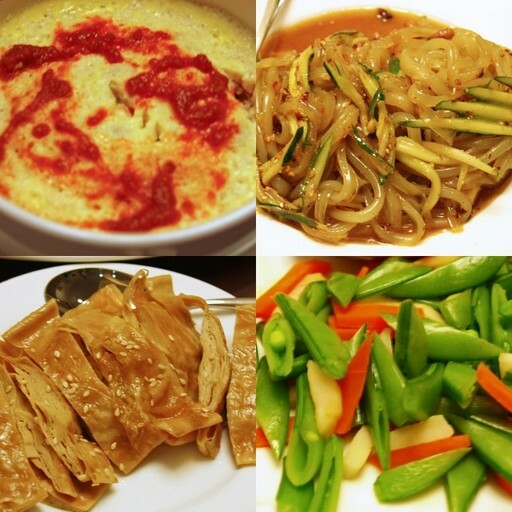 For some strange reasons, this dish is also very popular with Taiwanese, Korean and Japanese visitors too. My father has a Japanese business associate who is so enamoured he could eat it for breakfast, lunch and dinner. Of course we can always make this soup at home. Unfortunately I don't always keep all the requisite ingredients on hand, and the packaged ready mixes sold in Singapore are mostly disappointing and loaded with MSG as we found out from extensive testing. So last week when I found myself in a Chinese medical shop near Bangsar market because I wanted to buy some 'half-ripe barley' for baby, I checked with the friendly staff who recommended me their house package. A RM5 pack comes with quite a generous amount of ingredients. I bought two packs home to experiment. At the butcher's stall the following day, my mum mentioned that we were making bah kut teh with the pork ribs the butcher was cutting up. The butcher enthusiastically recommended a package which he apparently sells to select customers, he was especially proud of the cinnamon which he had to source from Penang. Being greedy, impatient and curious, I suggested to my mom that we should do a side by side comparison of the two mixes. 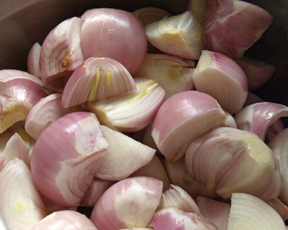 We duly cooked in two separate pots, following the instructions at the back of the packages- which is basically to simmer the meat and herbs with whole bulbs of garlic for at least 2.5 hours, adding dark and light soy sauce to taste and colour before serving. 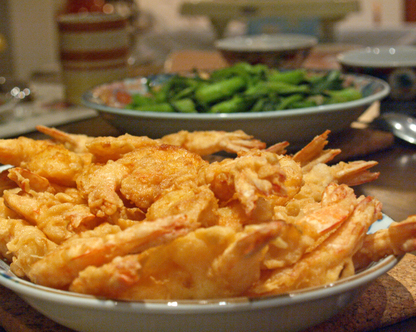 Some shitake mushrooms, bean curd sticks and taupok (fried bean curd puffs) also went in to absorb the flavours of the soup. The butcher's version is on the left, his mix contains a muslin bag of finely grounded ingredients. The final product was quite aromatic with subtle scents of cinnamon, but the soup was quite tasteless. 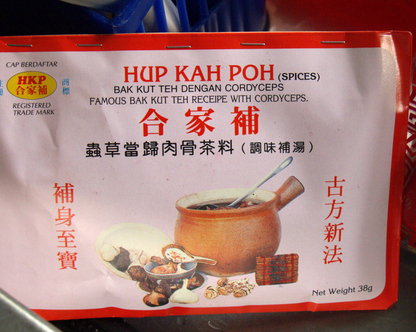 There was hardly any hint of the cordyceps as promised on the front of the package. 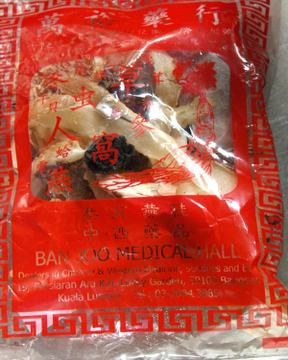 The Chinese medical shop's version was more promising, there was subtlety and depth in the final concoction, the herbs flavours evident yet blending harmoniously together. 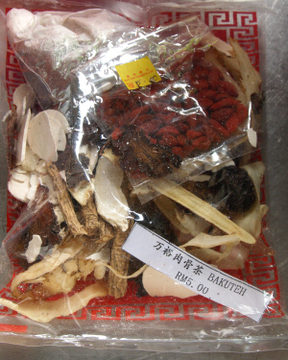 We are used to a higher strength version so next time we will probably throw in more of the herbs especially dong guai, huai san and dong sum. We sleep better knowing there is one more pack in the pantry for whenever we next feel the craving for some. One final post on Guangzhou, which is noteworthy for the fact that this was the first time we actually cooked our meals while 'on holiday'. One of the reasons we decided to stay in a serviced apartment, other than the fact that it is cheaper than a hotel and that it has two bedrooms, two bathrooms and plenty of living space, is the convenience of a kitchen to cook foods for the baby. Porridge and soups, quick, easy, nutritious stuff. Good for us adults too, as it can be tiresome, not to mention rather costly to eat out all the time. We brought along a sturdy saucepan, some chilli condiments and herbal medicines as well as baby foods and bottle steriliser. The apartment came equipped with a microwave which we used a lot for steaming, also some pots and pans but not a wok. A nice range of water and wine glasses and other cutleries and crockeries were also provided. At first we lugged big bottles of water from the supermarkets every day but soon we found out that we could rent water dispensers at about 8 yuan a day. Watson's water from Hong Kong is more expensive than the local brands like C'est bon, but it tasted far better, and what a convenience it was to have the dispensers, we were getting through almost a jar a day, it even dispensed boiling-hot water. There is a small wet market within walking distance from the apartment, and we soon found ourselves enjoying the morning walk with the mostly elderly residents in the neighbourhood. The market is bustling and colourful, everything was really fresh and cheap- see chicken in the middle picture which later became our dinner; we could even buy eggs still warm from hatching, and even 'the best soya sauce in China' which is not available at the supermarkets (so the vendor informed us). At the supermarkets, we found the next most popular soya sauce, Master's, which is much like our Maggi seasoning. My favourite find were little jars of crab roe sauces, retailing at a most reasonable 24 yuan; a spoonful of it transformed plain congee into bowls of luxury and provided oomph to simple steamed omelets. As we didn't want the small apartment to smell too much of cooking fumes we limited ourselves to making soups, refreshing herbal drinks, congees, steamed fish/ chicken/ omelets or braised dishes. 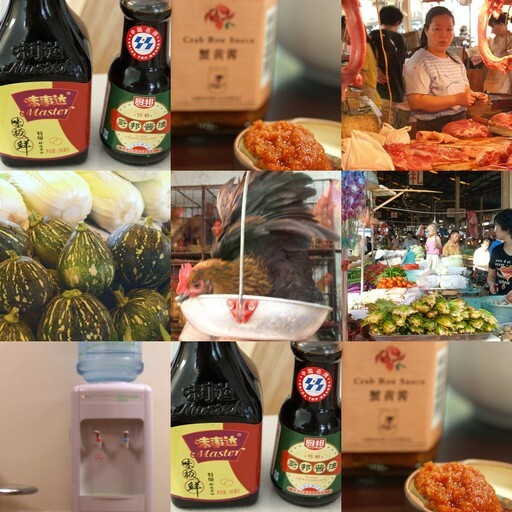 For variety, we bought supermarket fen pi (pea thread noodle) salads, roasted meats or cold cuts. We really appreciated the convenience of being able to cook whatever and whenever we want, even in a foreign city. It was for us, a little home away from home, being able to sit down and enjoy a simple family meal by ourselves, it just made the 10 days we spent in the city pass a lot more pleasurably. And that brings us to the end of our GZ postings. I'll be going to KL for the next week or so, for work and visiting with family, a break that I am really looking forward to after these few hectic weeks. In the meantime, I wish my readers a good week ahead and happy eating! Cheers!